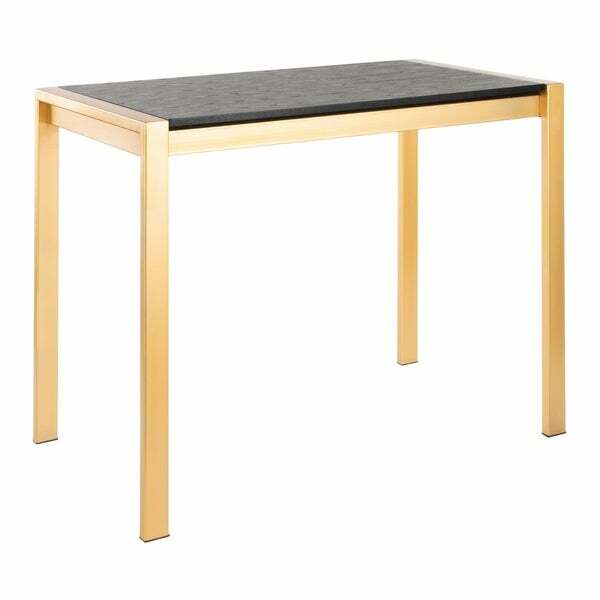 Elegant and substantial, the Fuji Counter Table by LumiSource is the peak of streamlined sophistication. Featuring a solid metal frame and either a tempered glass top or a wood top, this design will clearly demand attention in any space. Available in several finishes, choose the one that suits your space best! Dimensions 27.75 In. X 48.25 In. X 36.25 In.